Touring vaudeville shows gave Lethbridge audiences their first thrill of moving pictures, when short films were added to variety programs. However, feature films were soon the leading attraction. The Bijou became the first regular movie house in Lethbridge in 1907, and by 1913 eight different theatres had opened. Some were purely movie houses, while some also hosted amateur plays or vaudeville shows, with programs changing up to three times per week. By 1920, movies had gone from sideshow novelty to mass entertainment. Theatre architecture reflected the rapid rise of moving pictures. Because nitrate film was highly flammable, Lethbridge city council passed a by-law in 1908 requiring that all theatres be built of brick or stone. Street front awnings and ornate decorations added to the venues’ respectable appearance, while brightly illuminated signs promised spectacle and magic. One impressive early picture palace in Lethbridge was the Lyceum (1908-1925), also known as the Starland, the Star, the Phoenix, King’s, and Kings at different times. Tucked away beside the Alexandra Hotel on the 300 block of 5 Street South, the Lyceum was a small but impressive theatre, with some 250 electric bulbs lighting up its distinctive, arched façade and recessed vestibule. This was the second theatre in Lethbridge, and although it did host live performances in its first two years, it later became strictly a movie house. The Lyceum was built before building controls were introduced in 1908, which may explain why a wall collapsed in July 1909, during excavations for the hotel next door. After reopening that fall, the theatre was purchased by the Starland Company—a chain from Winnipeg, operating across western Canada. In 1921, a young Calgarian named A. W. Shackleford was invited to manage the newly renamed Kings Theatre. He ran it for a year and returned in 1924 to purchase the lease. Tom Mix and Zane Grey cowboy movies brought in decent crowds, but the Kings struggled to turn a profit and closed in 1925. During the golden age of picture palaces from the 1920s to 1940s, Lethbridge movie houses clustered on 5 Street South, but many later theatres followed development to the suburbs. 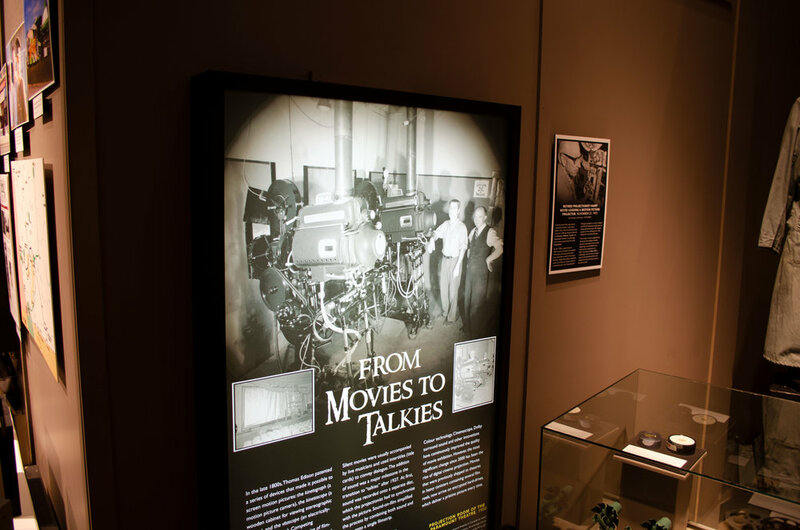 To learn more about the history of movies and theatres, check out the exhibit Cinescapes: movies in southwestern Alberta at the Galt Museum & Archives until Mon SEP 03.